Very rough sketch of a game. 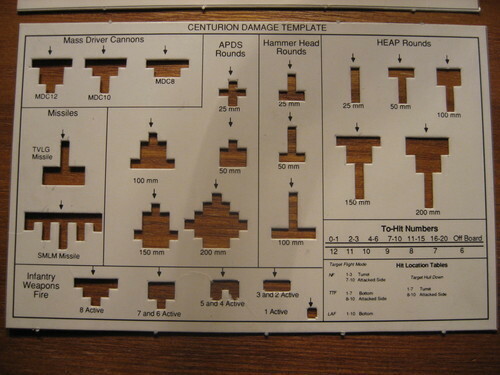 Medieval skirmish game with a damage template system. Victory is achieved by accumulating 100 Influence points first, which are gained by killing the enemy and capturing points. Skirmish forces range between 5 and 10 characters. Renegade Legion: Super meaty game by FASA. Has elements of Battletech. Scaled from single model RPG to massive space battle via multiple systems under the same blanket theme. Crimson Skies: Had a computer game, almost a movie (I think? ), but mainly started with yet another FASA ruleset. 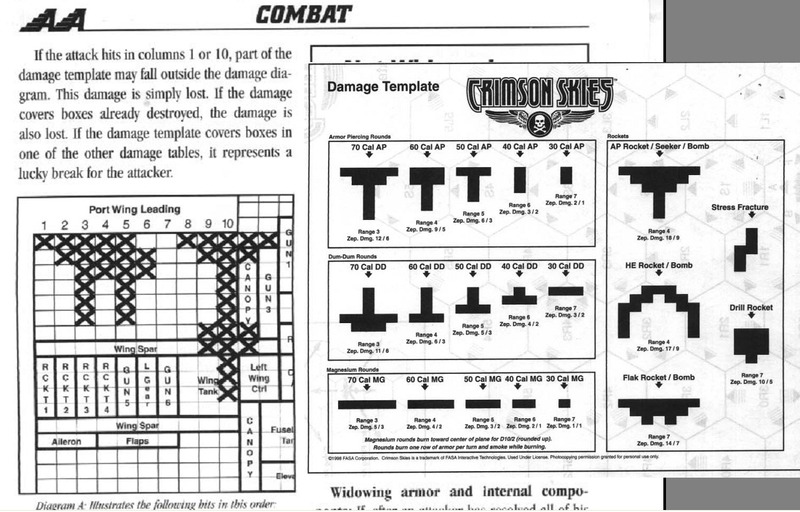 Armor Grid: Mech Attack: The damage template system was renamed “Armor Grid” for this series of games, but the ideas was the same. Focus was giant Battletech style robots. My biggest experience is with Mech Attack. But to be blunt, Mech Attack is not that well written, and besides the Armor Grid system it’s rather bland and has some glaring flaws. First of all I challenge any owners of the PDF to find the section that actually outlines HOW to destroy a Mech, haha. Similarly they reward NOT moving (it’s easier to hit if you “Stand Fast”), which combined with a base movement of 3″ (in a 3’x3′ area) for Heavy Mechs means games end up as a roll off with very little movement. This was especially noticeable in the last game I played, where me and my opponent ended up more or less sitting in the corner and rolling off with our two surviving Heavy Mechs (literally just sitting on opposite sides of a hill and shooting, since whoever moved would have lost cover and the Stand Fast bonus). So yeah, me and my friends mentioned a couple of these flaws and I thought I’d take a crack at a slight rework. What I ended up with so far is Barons, which is medieval based (not sure if I want to go the full fantasy route). The system moves from D10 to D6, and a simple roll-off for combat resolution instead of D10 + many mods > target profile. So it still keeps the core Damage Template system but tries to be a better game outside of that. For example “activation” is simply issue a Command to one character, then alternate to the opponent. But what’s neat is you can Command the same character multiple turns in a row, instead of having to mark activated like Dinosaur Cowboys. And also that Commands are simple, as in Move is a Command, as is Attack. So it does away with the usual “move and attack each turn, oh and you can run as a double move and stuff”. Weapons use the Damage Template system, so a Dagger pierces 1 square wide and 2 squares down, while a Mace does a big 2×2 chunk, and a slashing weapon like a Long Sword does a 3 wide and shallow 1 square down template. I basically wanted to flesh out the idea, and never intended to carry it far beyond the gimmick of damage templates. After all if damage templates could be removed and the remaining game is boring that maybe means the game isn’t that great. Sometimes published rules, especially print-and-play, aren’t as good as what you can make yourself. Believe in your own abilities, and own judgement of what’s fun. Also I always like getting a game idea onto paper, so that even if I never finish it, I have the option to later.